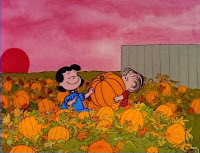 All Peanuts fans know the arrival of fall means it's time for the Great Pumpkin... and the Great Pumpkin will surely bring something good to our friends at Dark Hall Mansion, who have crafted another splendid limited edition print. 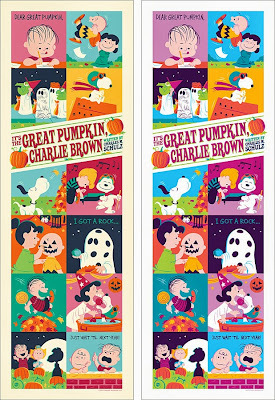 This is the third year in a row Dark Hall Mansion has released an art print celebrating It's the Great Pumpkin, Charlie Brown, and each year they've brought us something different. 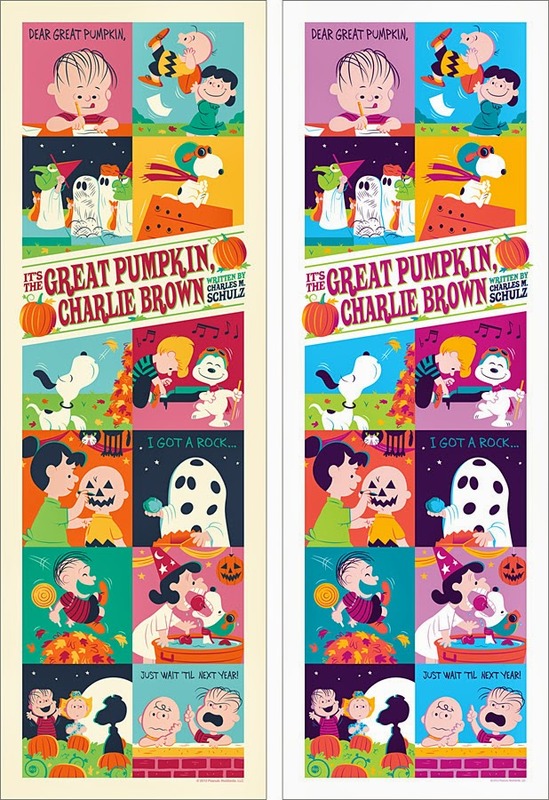 The 2013 print by artist Dave Perillo is taller and thinner than previous prints, and is made up of 12 panels illustrating well-remembered scenes from the classic Peanuts Halloween television special as your eye travels from top to bottom. 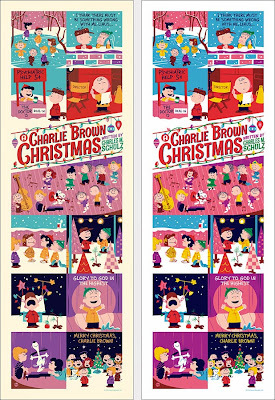 As usual, there will be two versions of the print - a standard version and a variant version with brighter, more saturated colors. 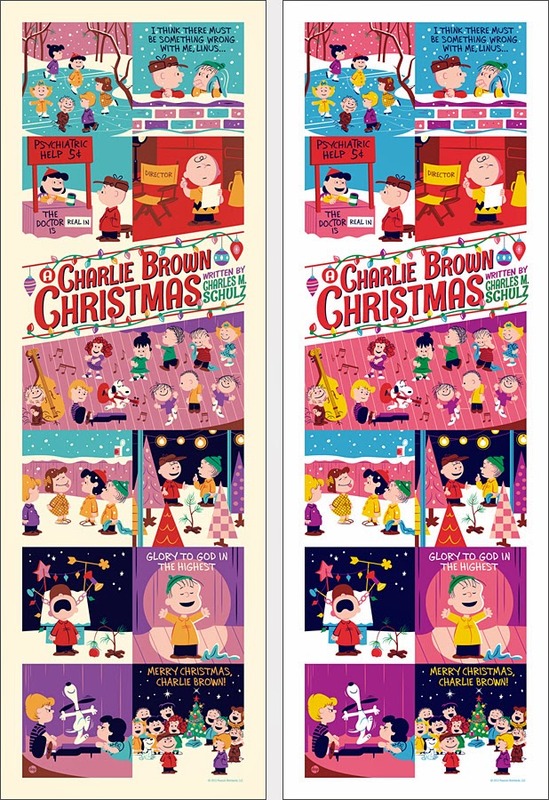 In addition, there will be a special run of 10 of each style printed 12″ x 36″ panels of wood. 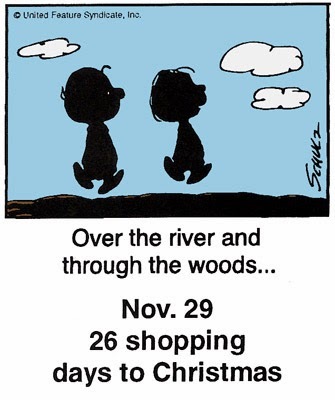 The prints go on sale Tuesday, October 1, 2013 at a random time between 9:30 AM and 11:30 AM Pacific time at Dark Hall Mansion's webstore. 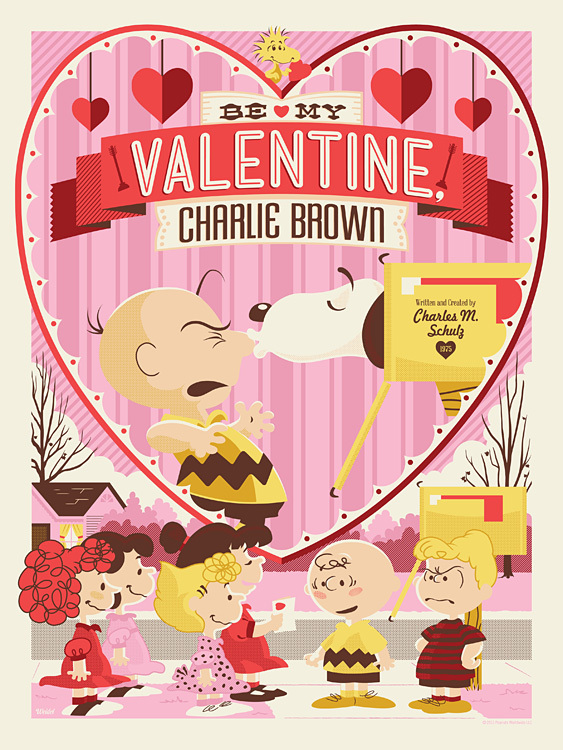 Limited edition Peanuts prints from Dark Hall Mansion have been quick sellers, so don't hesitate with your order if you're interested. 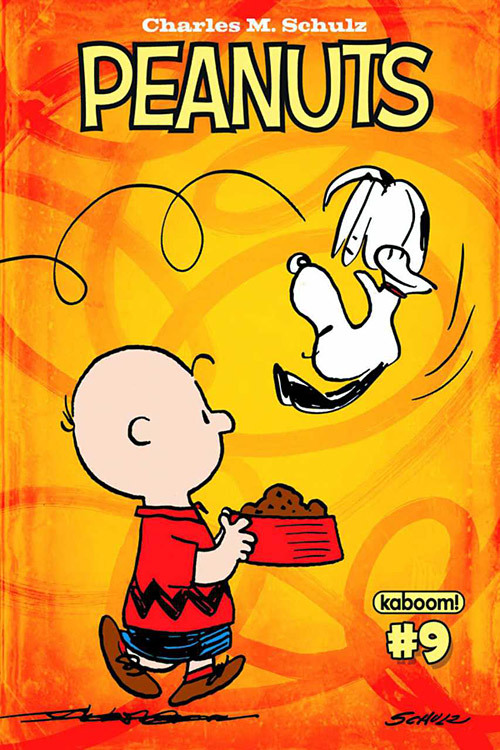 Peanuts #12, the latest issue of Boom! 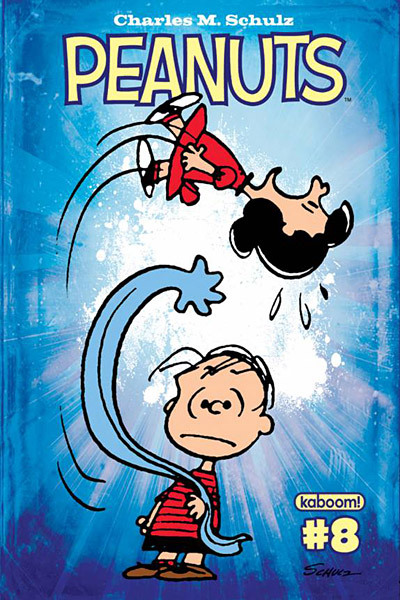 Studios' comic book, arrives in comic book stores on Wednesday, September 25, 2013. 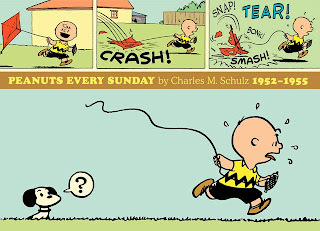 The new stories this month are titled "Movie Time," "Tutor Trouble," and "When You Wish Upon a Pumpkin," and as always, they're accompanied by a handful of classic Sunday Peanuts comic strips. You can see a 5-page preview at Comic Vine, and the issue can also be ordered directly from Boom! 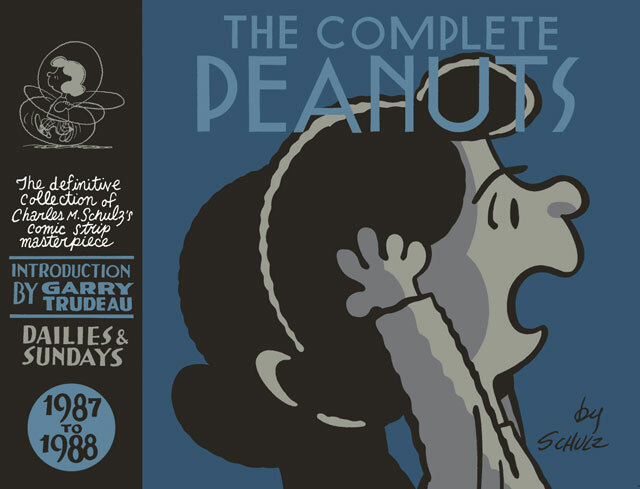 Studio's website. The Peanuts comic book will be on hiatus in October - no doubt it'll be busy getting its pumpkin patch in order - but will be back with a new installment in November. 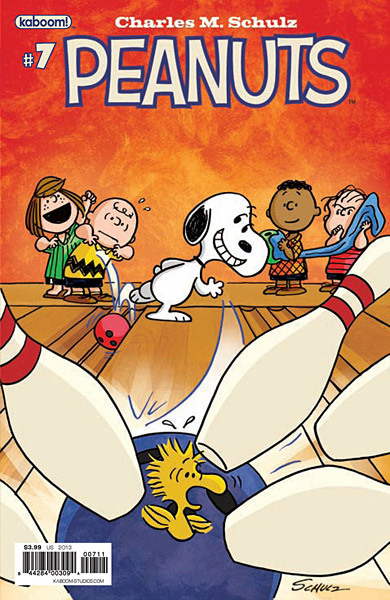 The comic book Peanuts #10 goes on sale Wednesday, July 24, 2013. 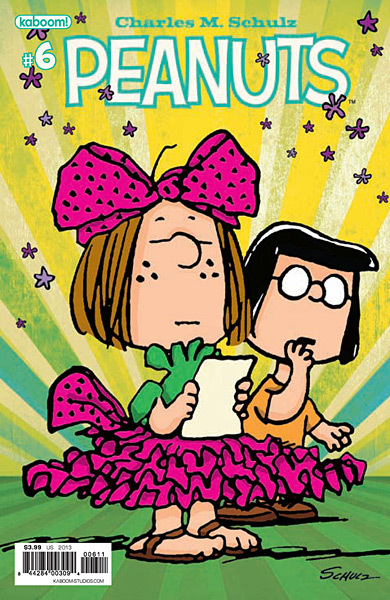 There's no advance word on the story titles in this issue, but you can find it at your local comic book shop or order it directly from Boom! 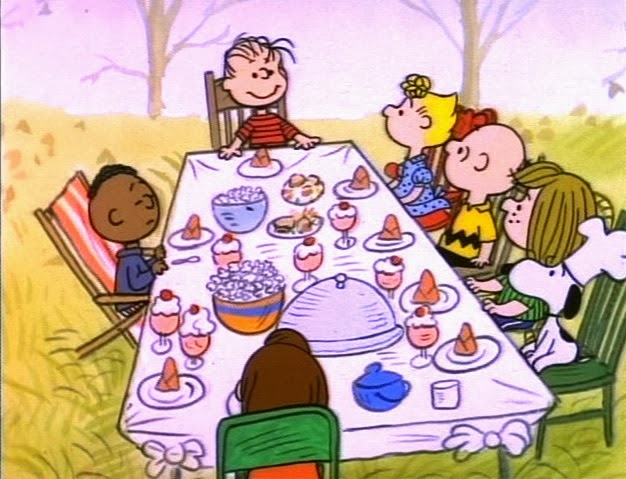 Studio's website. 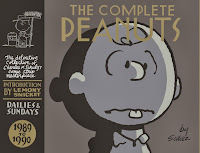 Or the complete 25-book run of The Complete Peanuts, including future volumes as they're published, for $499.99 (with free shipping). 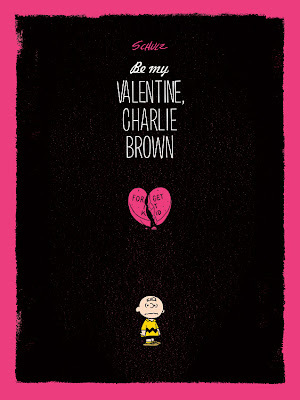 Visit Fantagraphics' website for more details and ordering. 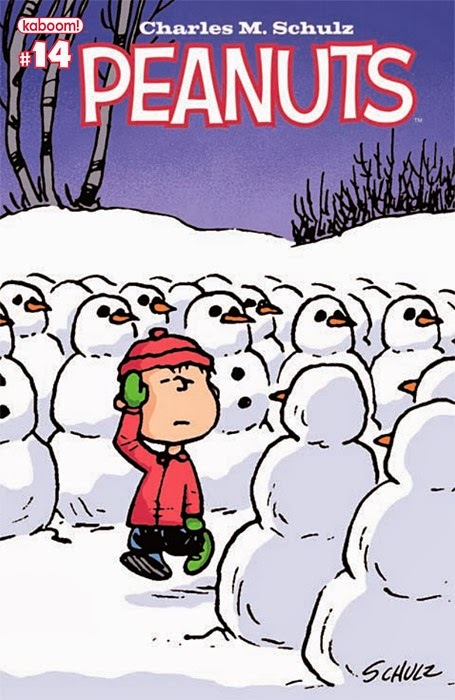 If you don't already own all the volumes (and you should! 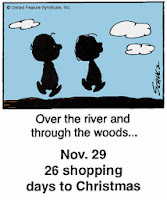 ), this is a good opportunity to build your collection... but remember that the offers are only good for the next couple of days. Tom Everhart, the artist whose work features characters and elements from the Peanuts comic strips together with his own colorful squiggles and dot collages, was profiled by NBC's Today show on Monday, June 17, 2013. 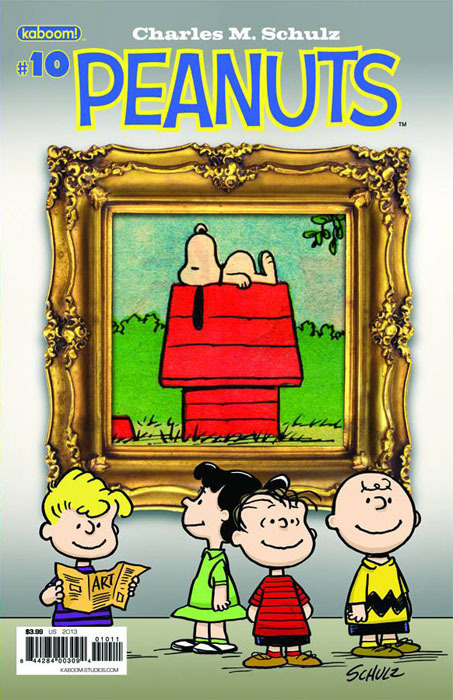 You can watch the Today show segment online and hear how the artist met Schulz and came to include the Peanuts characters in his own artwork, and see some of Everhart's latest creations. Volume 19 of Fantagraphics' ongoing reprint series, The Complete Peanuts 1987-1988, has been published and can be ordered from Fantagraphics, Amazon.com, or your local comic book store. 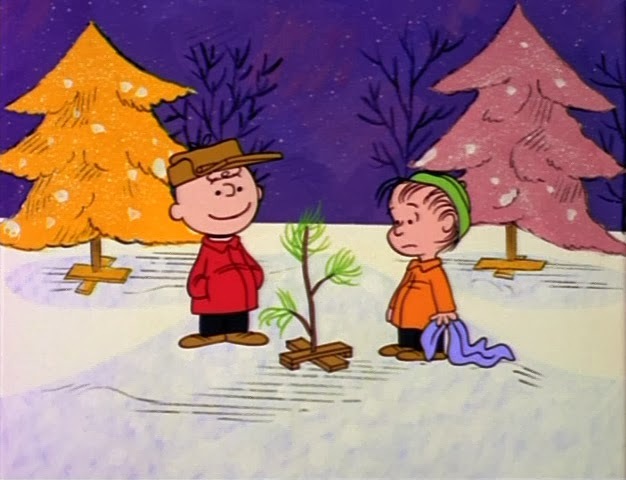 An ill-considered attempt at flirting sends Charlie Brown to the school doctor... Linus's ongoing romance with the too-young "Lydia" of the many names continues... Snoopy is joined in the trenches by his brother Spike... Sally engages in a career as a playwright by penning the school Christmas play but mixes up Gabriel and Geronimo... A hockey mishap sends Snoopy to the doctor for knee surgery... Linus and Lucy’s kid brother Rerun begins to take on the greater role that will lead to him being one of the dominant characters in the 1990s... and Snoopy, inevitably, writes a "kiss and tell" book. 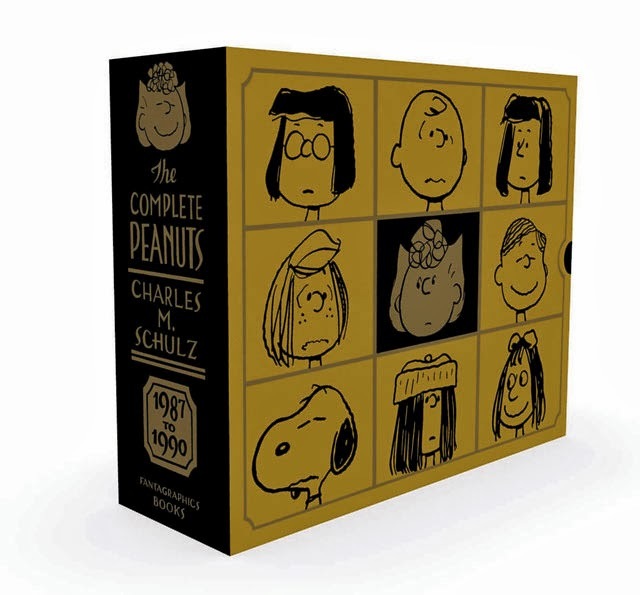 Another notable event in this collection is in 1988, when Schulz changed the daily strips from the "always 4 square panels a day" approach that he had used for 37 years to a more flexible layout with a variable number of panels that weren't always the same width. 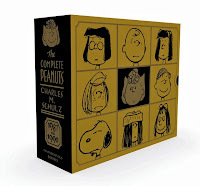 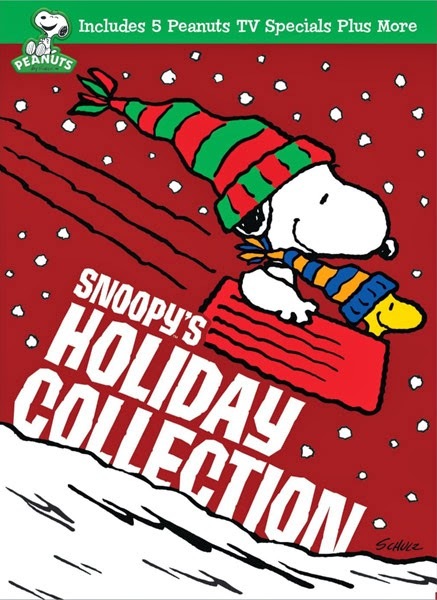 The Complete Peanuts 1987-1988 also features a "foreword by Doonesbury author Garry Trudeau," but this is not a newly written piece - it was first published as an appreciation of Charles Schulz in the Washington Post in 1999, and has been reprinted in a couple of other collections about Charles Schulz since then. 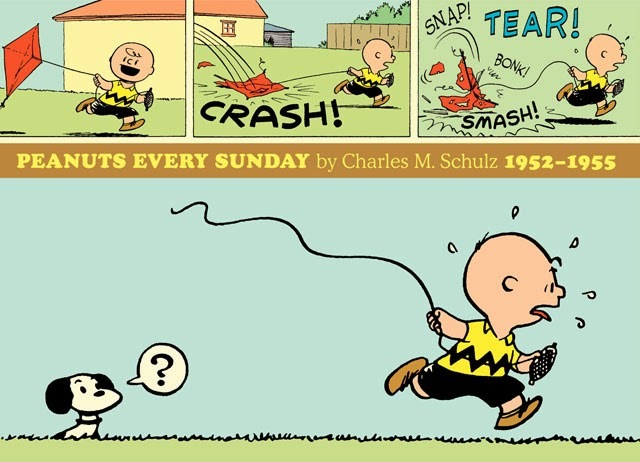 Fantagraphics doesn't note this anywhere in the volume - tsk, tsk. 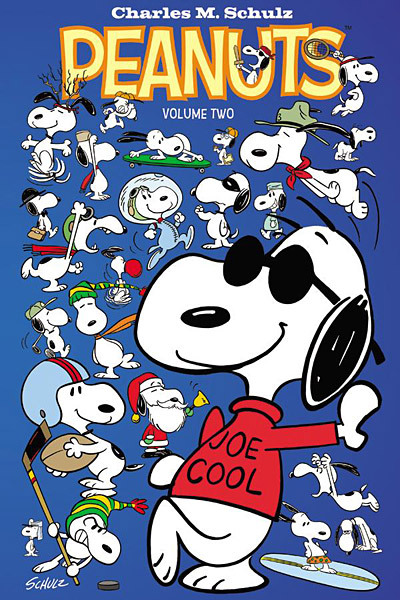 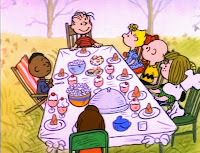 Don't forget that It's the Easter Beagle, Charlie Brown together with Charlie Brown's All-Stars will be broadcast from 7-8 PM (Eastern/Pacific) on Sunday, March 31, 2013 on ABC. 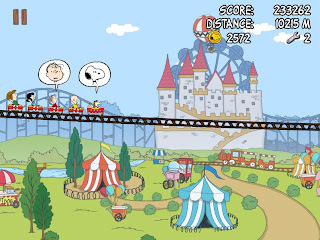 Snoopy Coaster, a new Peanuts-themed game for the iPad, iPhone, and iPod touch, is now available at the Apple app store. 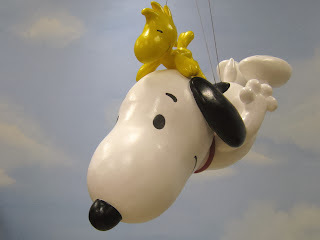 In the game, players guide the Peanuts gang on an endless roller coaster ride through various environments such as amusement parks, snowy mountains, and a forest of kite-eating trees as they try to jump and catch coins, pop balloons, and not fall off the tracks. 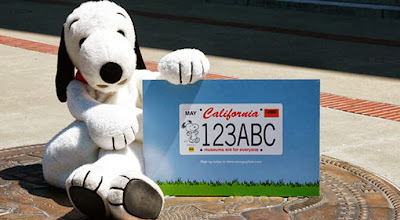 Snoopy Coaster was created by Developed by Chillingo, CGMagic, and Peanuts Worldwide. 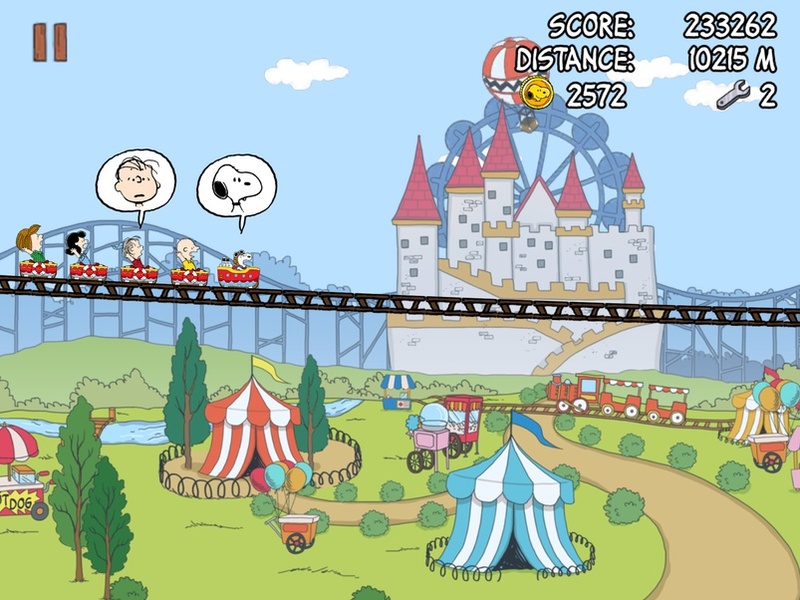 You can see a trailer and more screenshots at the Chillingo website, or read the full press release. 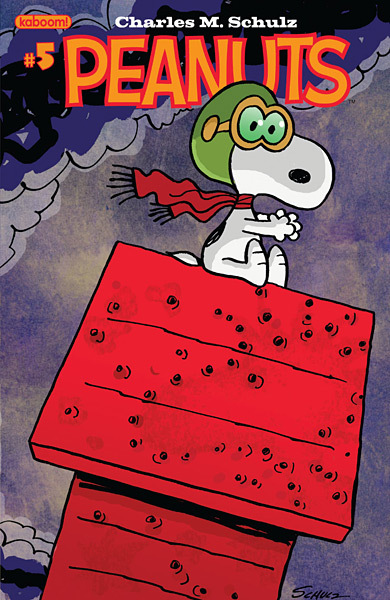 While Snoopy Coaster is only 99 cents (in the United States), beware that it is rather aggressive about offering you "opportunities" and "encouragements" to spend more money for boosters and add-ons via in-app purchases - in some cases it's not clear that clicking on a button will lead to the program asking you to spend money (fortunately, the app store does ask you to confirm and you can cancel). 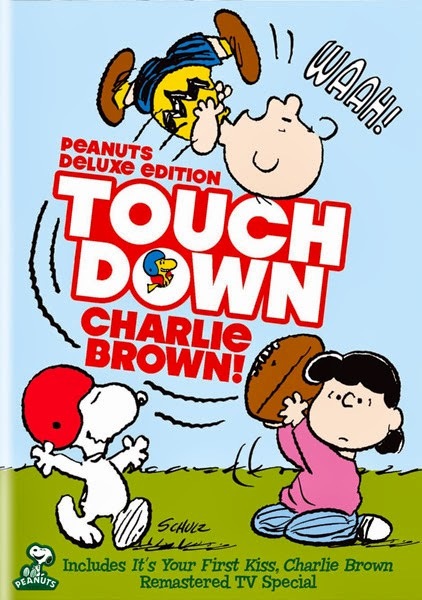 However, buying these add-ons doesn't appear necessary to play the game, at least not for the first few levels. 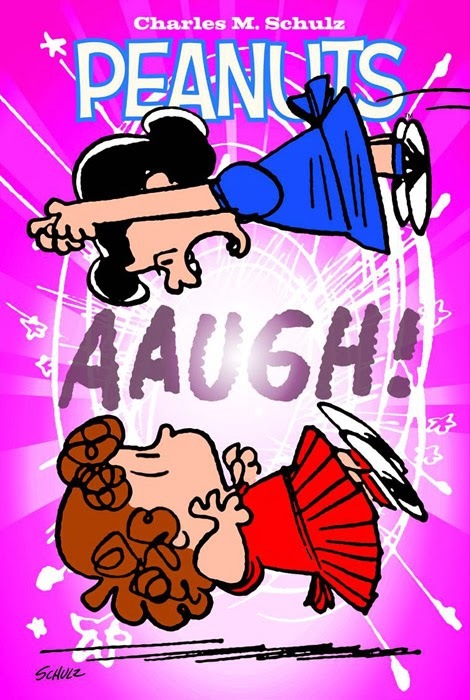 It's unfortunate that this otherwise cute game is so pushy. Celebrate the classic springtime Peanuts special It's the Easter Beagle, Charlie Brown with Dark Hall Mansion's latest limited-edition prints, arriving Friday March 15. 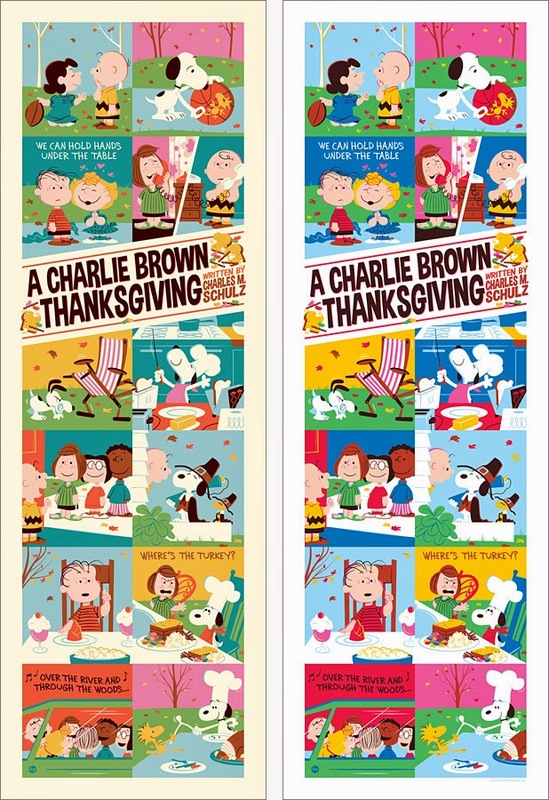 Created by artist Tom Whalen - who's done several previous Peanuts prints, so these new ones will go well with your collection! - the Easter Beagle artwork put Snoopy front and center, illustrating the joyful scenes where Snoopy peers into a decorated egg and imagines himself dancing with bunnies, and of course the denouement where the Easter Beagle bring eggs to the neighborhood kids. 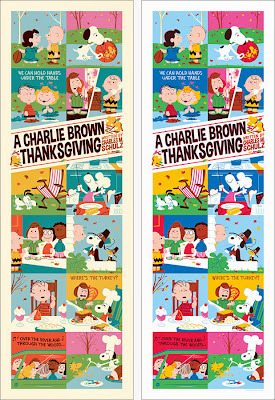 There are the usual nice little touches when you examine the details, and two different color schemes to choose from - bright springtime colors in the standard edition, and pastel hues in the variant edition. 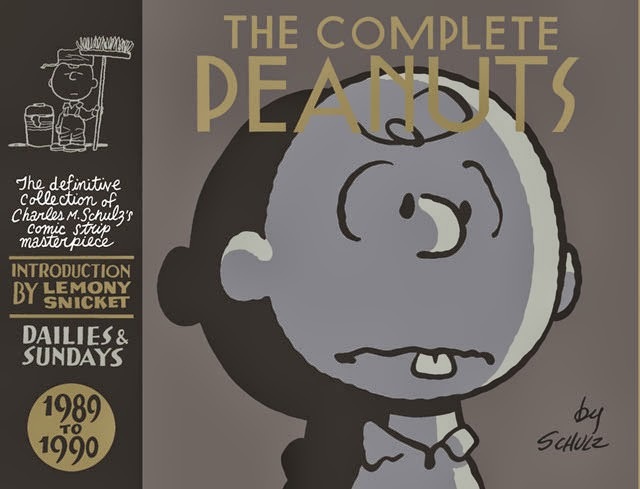 The standard edition will be limited to 300 prints, and the variant edition will be limited to 50 prints, and there will be a special canvas edition of 10 each of both the standard and alternate artwork. 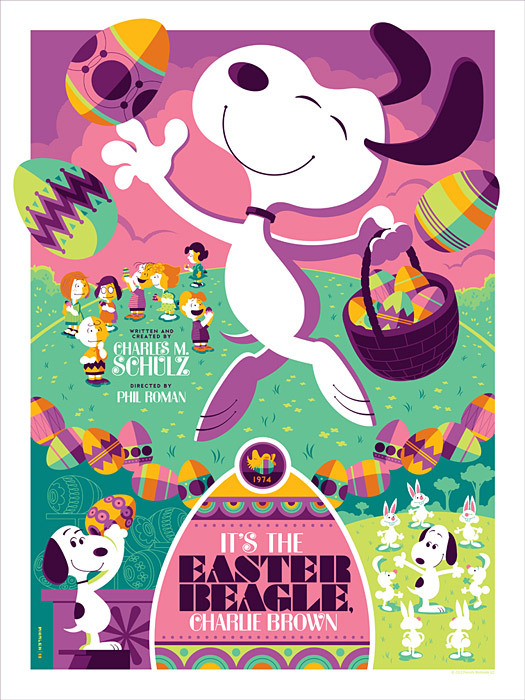 The It's the Easter Beagle, Charlie Brown prints go on sale Friday, March 15, 2013 at 9:30 AM (Pacific time) at Dark Hall Mansion's webstore. 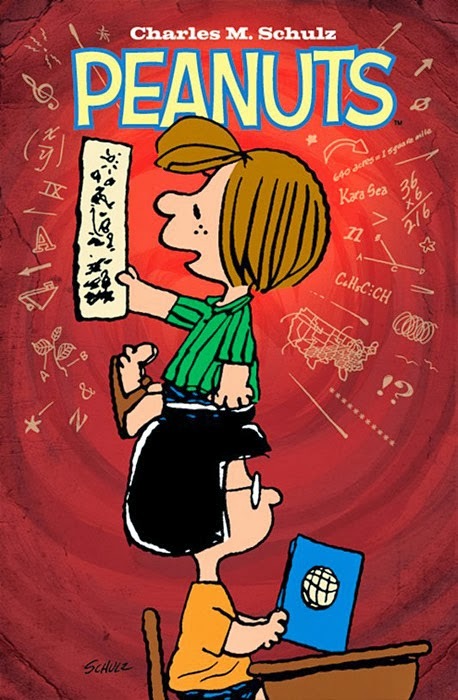 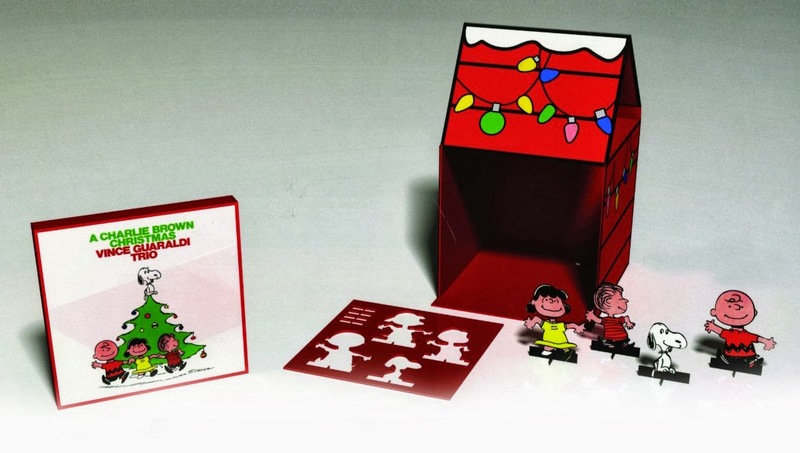 Limited edition Peanuts prints from Dark Hall Mansion have been quick sellers, so if you're interested, don't wait too long to place an order once they go on sale.